Although the Essential Phone's design makes it difficult to build custom ROMs for it, an XDA Developers user has been able to bring LineageOS 14.1 to Andy Rubin's flagship. After the recent US$200 price cut, Andy Rubin's handset became an essential buy for many of those looking for a flagship with high-end specs and mid-range pricing. By becoming more budget-friendly, the Essential Phone also turned into an interesting device for the aftermarket developers. Although LineageOS does not officially provide support for it yet, one of the XDA Developers community members has just released the first unofficial build of LineageOS 14.1 for the Essential Phone. Less than a week after the XDA Senior Member bmg1001 came up with a detailed guide on how to gain root access using Magisk, the XDA Recognized Developer who is known to the community as "invisiblek" managed to tame the LineageOS 14.1 ROM for use with the Essential Phone. 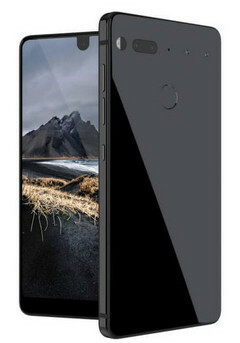 After dealing with the problems caused by the A/B partitioning system used by the Essential Phone (also employed by the Google Pixel lineup, the Moto Z2 Force, and the Xiaomi Mi A1), invisiblek delivered a LineageOS 14.1 ROM for this handset that works fine, even offering support for the stock Essential camera app. However, the developer has also identified two issues that he's currently trying to iron out: the in-call microphone volume is very low and the LineageOS 14.1-powered Essential Phone comes without root access. By the looks of the comments posted in reply to invisiblek's thread that announced the LineageOS 14.1 ROM for the Essential Phone, quite a few people purchased this handset after the price cut. Despite the very poor initial sales, it looks like there might be hope to see a second Essential handset in the future after all.